Happy New Year! I hope you had an amazing start to 2019! 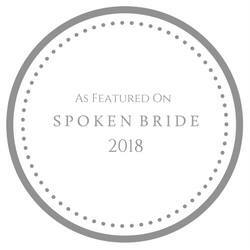 Now that engagement season is in full swing, I wanted to share my favorite wedding party gifts from two unique online companies that specialize in personalized gifts for your groomsmen and bridesmaids: Groovy Guy Gifts and Bridesmaid Gifts Boutique. Not only do wedding party gifts give your wedding photographer something nostalgic to style and photograph during the start of your big day, but they are also tokens of appreciation for the most important squad in your life: your wedding party! I was excited to see that Groovy Guy Gifts had a cool selection of unique, personalized gifts, everything from cufflinks to messenger bags and of course, barware for all the important men in your life (and yes, that can even include your brides-man!). I decided to order the Higher Spirits Carafe as a Christmas present for my sister’s boyfriend Tasos, with his name laser engraved on the bottle. The carafe arrived in a neatly packaged cardboard box and immediately showed off it’s great European inspired sophistication, especially with the option to add two lines of engraving. 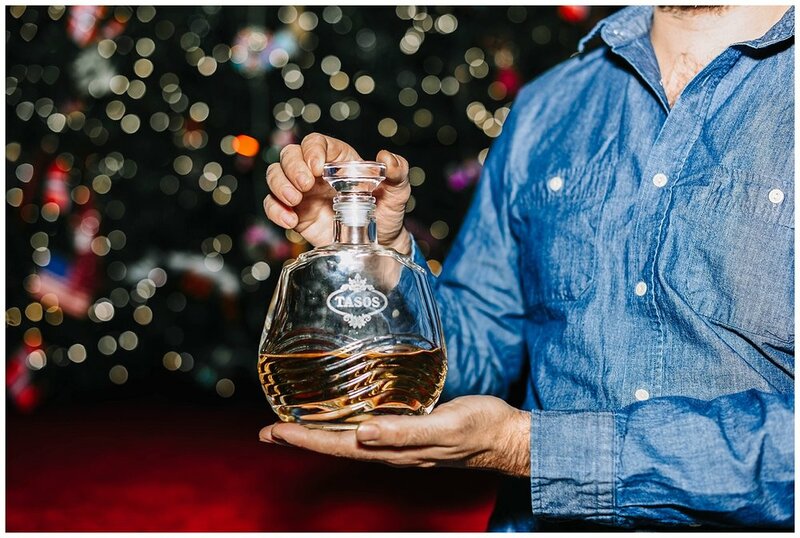 The materials were high quality and provided a great vessel to allow your favorite spirits to age in a stylish carafe. We were very happy with this product and would recommend it to anyone who is looking for a unique “spirit-filled” gift. My only suggestion would be for better packaging of the carafe, or to include a glass with the carafe. I added one here to aid in the styling of the product photography shoot. Originally, I had my heart set on ordering the Monogram Gold Glass Keepsake Box, but since the order was placed during the holidays, inventory was low and the order would not arrive in this for this review… so I settled on my second choice, the Simply Stemless Wine Cup in black with a rose gold initial on it (also available in 5 other colors). This wine cup is insulated, keeping beverages warm for up to 3 hours and cool for up to 12 hours. The lid is a push-seal, BPA free material and boasts of 304 grade - 18/8 stainless steel. The cup also comes with a straw and offers a unique and stylish design. It is easy to hold and a great accent piece to any fashionista’s wardrobe. 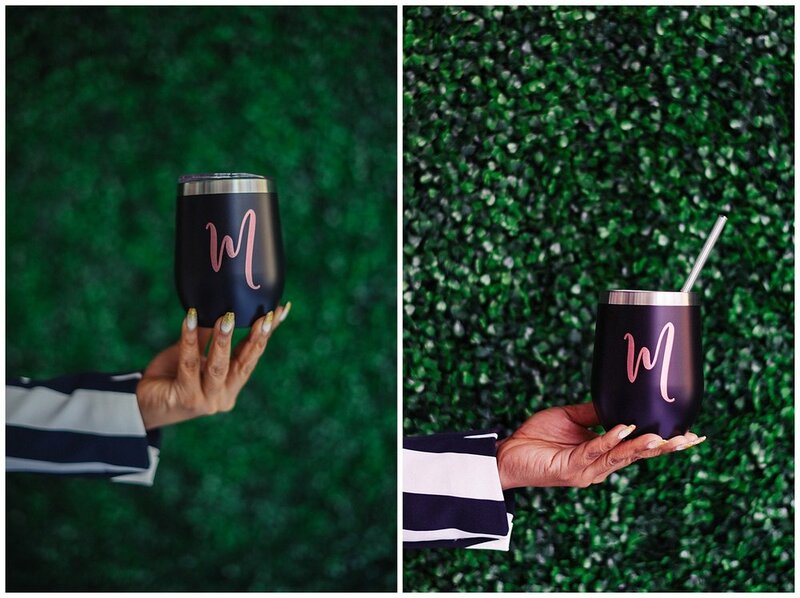 The Stemless Wine Cup is also a perfect “on the go” cup for all your travel needs, and just what your bridesmaid (or grooms-woman) needs to enjoy a cocktail en route home from your destination wedding! Best of all, it is something practical that she can use well after the wedding celebrations! My suggestion would be to use a shorter version of your name/nickname since only 12 characters can be printed on your cup. Overall, my experience was positive from both websites. I was provided with excellent customer service and the gifts arrived in great condition to its final destination - even during the busy holiday rush. Since personalized gifts take longer to create, I would advise being patient with the shipping process. Be sure to order well in advance so that there is no stress over gifts the weeks leading up to your wedding! Thank you to Groovy Guy Gifts and Bridesmaid Gifts Boutique for sending these gifts for me to review! The prices are reasonable and I appreciate their occasional coupons for free shipping/engraving! 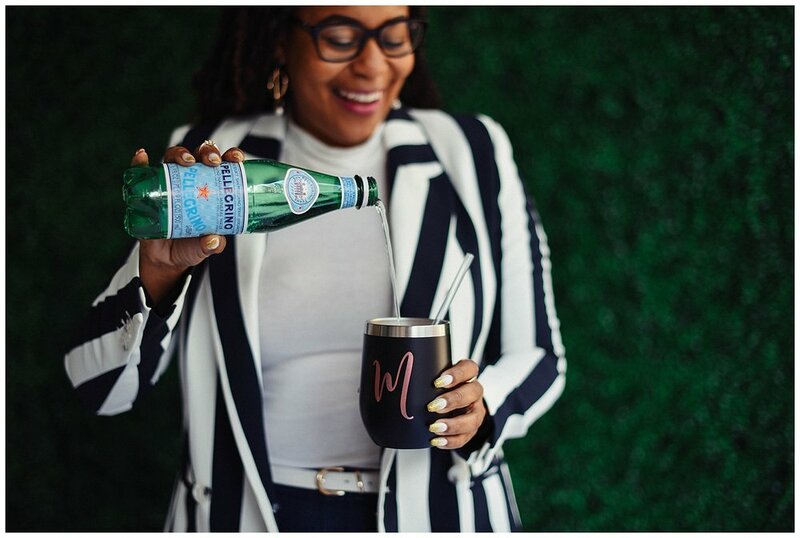 Laurentina Photography + Video recommends both companies for the 2019 wedding season!